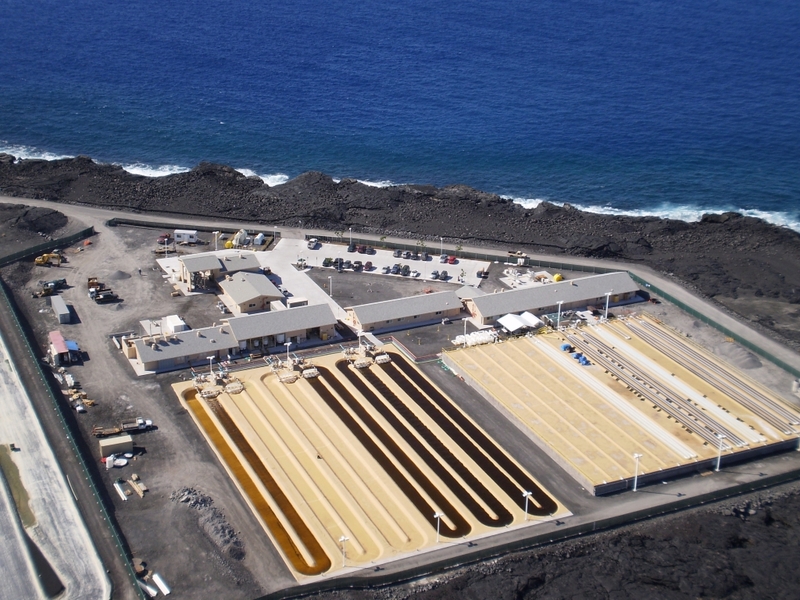 Since 2009, Cellana has operated its Kona Demonstration Facility (KDF) on Hawaii’s Big Island, a 6-acre, state-of-the-art production and research facility that has produced over 11 tons of algae which makes it one the most prolific algae production facilities in the world. At KDF, algae are cultivated in Cellana’s proprietary hybrid system, using a combination of open seawater ponds and photobioreactors, requiring only carbon dioxide (CO2), sunlight, seawater, and nutrients. Cellana’s technology optimizes conditions for cultivation to improve efficiency using optimal turbulence in the water and the effective use of selected nutrients. The Kona demonstration facility plays a pivotal role in testing and improving Cellana’s technology lineup. We draw on a worldwide and world-class academic research program for new research data to achieve cost reductions and efficiency benefits. Once harvested, there are a number of conversion technologies that can be used to convert the algal oil into high quality biofuels, including transesterification and hydrotreating. The residual defatted biomass and carbohydrates can also be used to make a fishmeal replacement or animal feed supplement for the aquaculture and animal feed markets. At Cellana our priorities are sustainability, productivity, cost-effectiveness, safety, and respect for the environment and communities. Our research and development activities at the Kona demonstration facility are currently focused on yield improvement and cost reductions through engineering research. Cellana’s mission is to develop and operate highly profitable commercial scale algae biorefineries and to establish Cellana as a leading source of algae-based products serving the human nutrition (Omega-3), animal nutrition, and biofuel markets. Presently plans are underway to construct commercial-scale facilities at locations around the world.